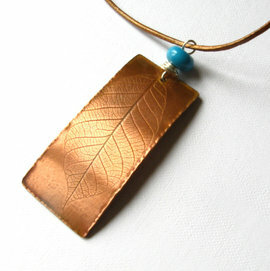 Hand crafted leaf imprint copper jewellery - these pendants, earrings and cuff bracelets have an imprint of a real leaf, they remind me of a fossil. 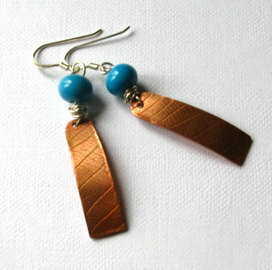 The earrings and pendant have handmade turquoise glass beads and ear wires are sterling silver. 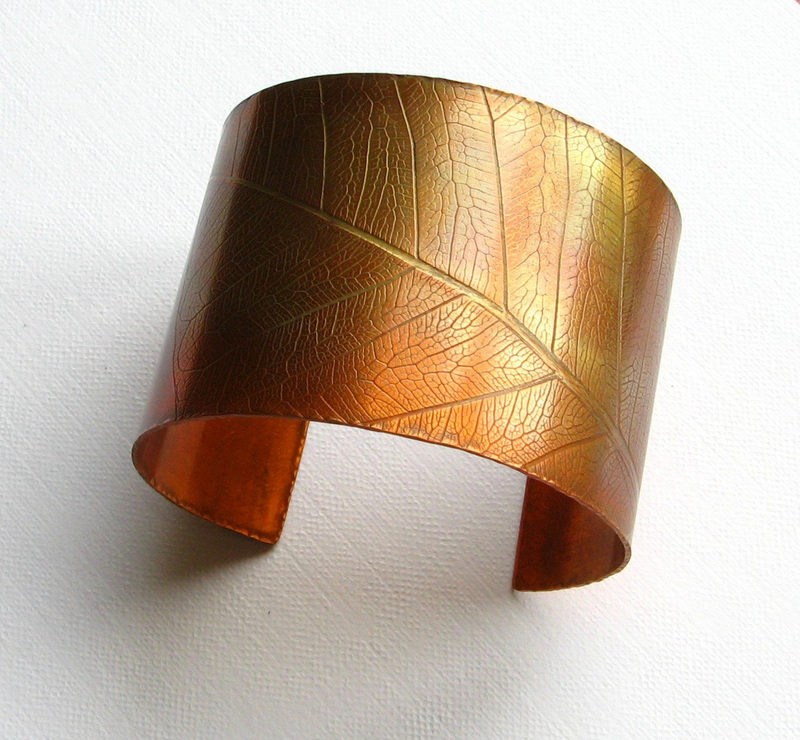 The copper is sealed with crystalline wax. The patina will develop with time but I believe this will enhance the beauty of these pieces. The Japanese have a term which fits this type of beauty; 'wabi sabi'.